Labour can be enormously proud of our record on improving the health of the nation. From the earliest days of our movement, we have campaigned to advance the public’s health. The unions campaigning for workplace safety, for shorter working hours, and more time for family and recreation. The co-op movement working for food and drink free from harmful additives. Labour councils clearing slums, and building communities with fresh air, light, gardens and playgrounds. And of course Labour governments introducing the NHS, smoking ban, SureStarts and tackling pollution. Our history teaches us a vital lesson: health policy includes the specifications of public housing, provision of public parks, milk for school children, building cycle lanes, tackling sexually-transmitted diseases, opening the countryside with the right to roam, and a thousand-and-one other interventions. The accumulative impact is a healthy environment and a healthy lifestyle. But despite these advances, we should be deeply concerned that life expectancy has started to flatline after centuries of it getting longer. The British Medical Journal reported that 10,000 more people died in the first seven weeks of 2018 than in 2017, with no obvious cause such as a flu outbreak. The Office of National Statistics has revised down its projections on life expectancy by a whole year, meaning they project a million extra early deaths over the next 40 years. We should be deeply ashamed as a society that your length of life, and the number of years you spend living healthily, is massively influenced by social class and income. Poorer people live shorter, more unhealthy lives, simply because they are poor. These ‘health inequalities’ are seen in coronary heart disease, cancer, mental health. Previous Labour governments made real efforts to tackle these inequalities. In the last months of the Callaghan Government, Labour ministers commissioned the Black Report, which exposed the link between poverty and poor health. It recommended a comprehensive anti-poverty strategy, drawing in housing, work, social security, healthy diets, tackling childhood accidents, traffic pollution, and smoking. It was shelved by the Thatcher government in 1980. When Labour got back into power, the Acheson Report in 1998 and the Marmot Review in 2010 picked up where the Black Report left off. Each landmark made an overt link between poverty and poor health, including mental health. Today I am introducing a Ten-Minute Rule Bill to ensure that, if we are serious about improving the health of the nation, every area of government has health foremost in its mind. Aneurin Bevan, when he was housing minister, insisted on decent-sized rooms and outside spaces in the house building programme because he knew it was good for physical and mental health. When we take any kind of decision as national and local government, the impact on health must be properly assessed. This is sometimes called a ‘health in all policies’ approach. It means that if we are building new housing estates, or devising new school curriculums, or constructing transport systems, then the impact on health must be assessed and considered, and crucially no opportunity to enhance health and well-being is missed. The next Labour government will face a crisis in the NHS and social care, which will need to be addressed as an urgent priority. But if we want the NHS and social care system to be sustainable for decades to come, we need a step change in the way we deliver health policy. Keeping people well cannot be left to the Department of Health; we need to marshal the entire resources of the state in support of the nation’s health. 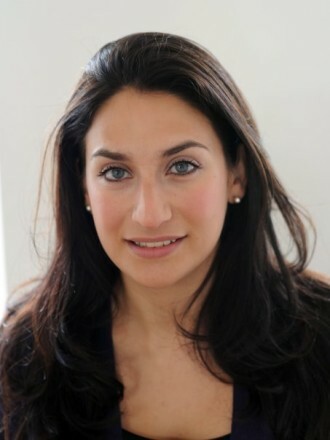 Luciana Berger is MP for Liverpool Wavertree.